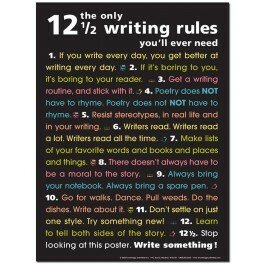 This writing poster provides some sage advice to get the writing process started. Examples: "1. If you write every day, you get better at writing every day," "2. If it's boring to you, it's boring to your reader," "6. 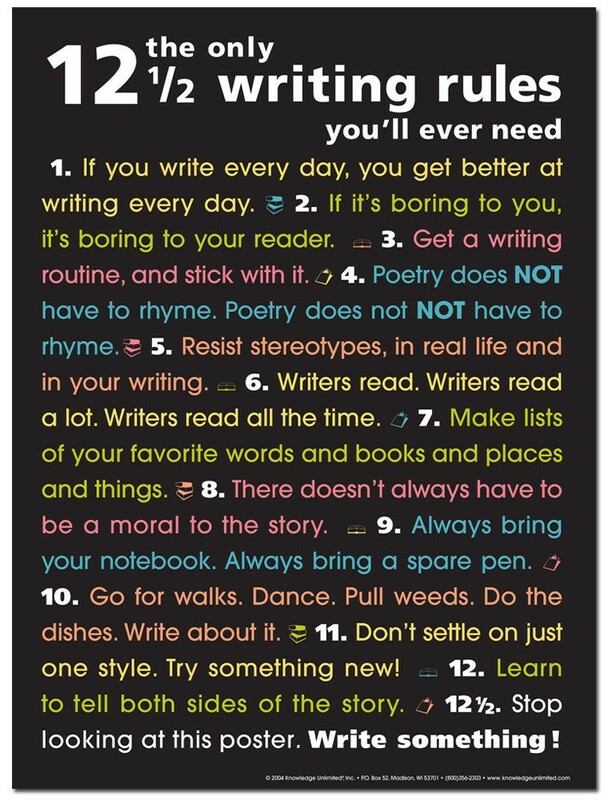 Writers read. Writers read a lot. Writers read all the time," and, finally, "12½. Stop looking at this poster. Write something!"